OAKS, PA January 9, 2016 . . . Legendary NASCAR race car owner Robert Yates, winner of many Sprint Cup series races with a variety of well-known drivers, will be a big part of the Pioneer Pole Buildings Motorsports 2016 Presented by Sunoco Fueled by Insinger Performance Race Car & Trade Show set to take place January 22nd through Sunday, January 24th at the Greater Philadelphia Expo Center in Oaks, PA.
Yates will be joining an impressive lineup of racers and personalities that will be part of the 31st edition of the hugely popular show that offers just about everything imaginable in motorsports covering 250,000 square feet of the huge hall. 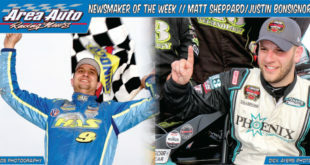 Show announcer Shane Andrews will be interviewing Yates at the stage area at noon on Saturday of the show. 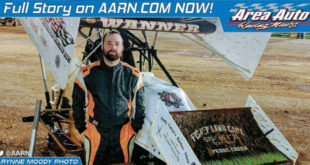 At 12:45 p.m. the former car owner and well-known Ford engine builder will be signing autographs for fans at the Pioneer Pole Buildings display located directly inside the front entrance. Robert Yates Racing, known for their winning racing engines, will have a booth at the show as well. 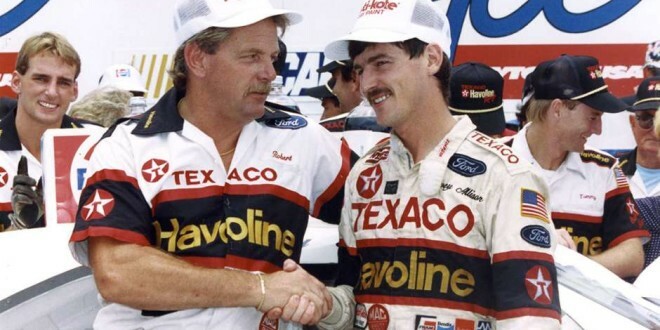 Over the years Robert Yates had the late Davey Allison as a driver and won the Daytona 500 with him in 1992, the combination had a long list of Cup victories. In addition Yates had Ernie Irvan, Dale Jarrett (with whom he won a NASCAR Cup title) and Elliott Sadler along with Ricky Rudd and other well-known drivers steering and winning with his cars. The Robert Yates entries won 58 Cup races. An impressive array of sponsors displayed their logos on the cars including Texaco/Havoline, Ford Motor Credit, United Parcel Services, M&Ms and Menards. After retiring as a car owner in 2007 Yates turned the team over to his son Doug who kept it in operation until 2009 when it was merged with Richard Petty Motorsports. Robert has managed to create quite a respected reputation as an engine builder with his NASCAR spec engines being used in many NASCAR Camping World Series races, K&N Series and NASCAR Whelen Modified events. 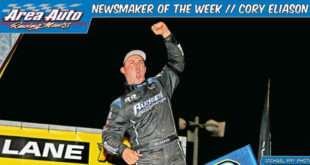 In addition to Yates, fans will have the opportunity to meet NASCAR Sprint Cup driver Kyle Larson, a recent Sprint Car winner in Arizona, John and Jarett Andretti, USAC ace Dave Darland, along with a host of other national, regional and local racing standouts. NASCAR Hall of Famer Bud Moore has had to withdraw from the show due to illness. He is being replaced by his son Greg Moore who served as a crew chief for his dad’s race team. 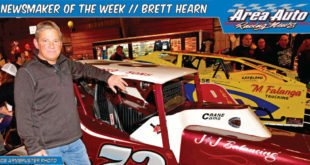 Greg and author Perry Allen Wood will be at the show doing an interview and signing autographs. 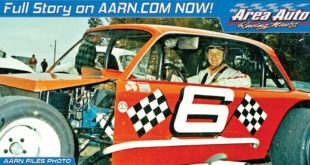 His book titled “Bud Moore’s Right Hand Man; A NASCAR Team Managers Career At Full Throttle” is currently available. In addition Wood was the author of “Bud Moore’s Memoir Of A Country Mechanic From D-Day to NASCAR Glory”. Both books will be available the show. 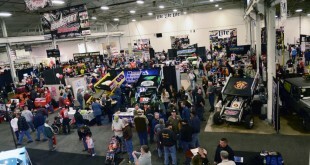 Included in the show, in addition to the memories of the “Moody Mile” in Syracuse, NY, will be more than 600 exhibitor booths offering products and services for the racers along with FREE seminars. On Saturday the annual Oliver Communications sponsored Ms. Motorsports competition hits the stage at 7:30. Entries are still available for this competition which pays the winner $1,500. Sunday is Metal Fab Kid’s Day at the show. All children under 12 are admitted free on Sunday. Big Wheel races for children 3 to 9 offer trophies to the top three in each division. There is also a Little Miss Motorsports competition held on Sunday as well. 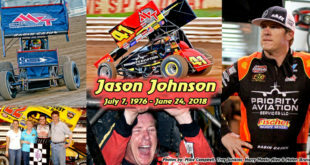 There will be a balloon artist and face painting for the children along with appearances by New Egypt Speedway’s Ralphie the Racer and Bridgeport Speedway’s Bandit. 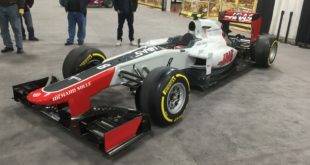 More than 200 motorsports vehicles representing drag racing, NASCAR Sprint Cup and everything in between including dirt track racers, motorcycles and more will be on display throughout the show. Exhibit space is almost sold-out. Call Tim Hogue for last minute space information at telephone 609.888.3618. 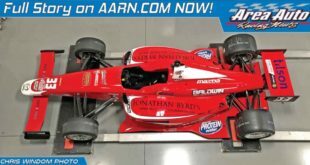 For information on the show and entering the different competitions check in at www.aarn.com for information. A full schedule will be released days before the event.